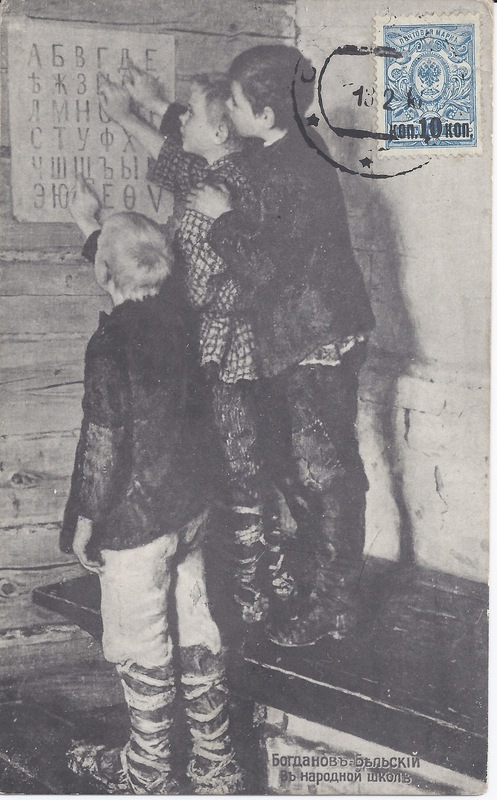 In stamp dealers' boxes, you rarely come across picture postcards which reference the changes being brought about by the Russian Revolution. Perhaps they are all in postcard dealers' boxes or in Museum collections. 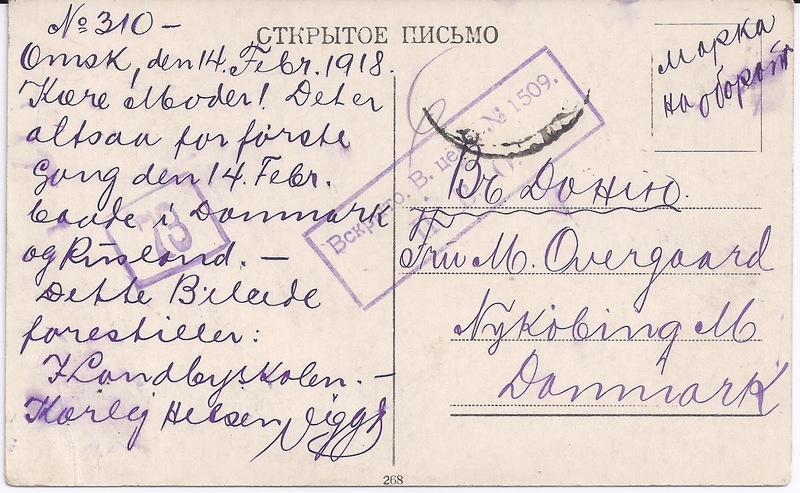 Anyway, here is an unusual and nice example sent by a Danish traveller in Omsk on the 14 February 1918, when Omsk was still under Bolshevik control. 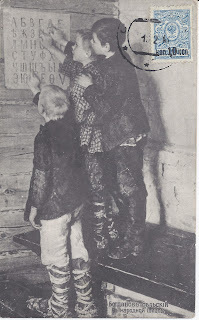 The writer seems to link the image in the photograph to the (similar) literacy work undertaken by Danish Landsbyskolen ( which I translate as something like rural elementary [primary] schools). Since the writer labels this card to his or her mother "No 310" perhaps someone reading this has another card from the sequence. 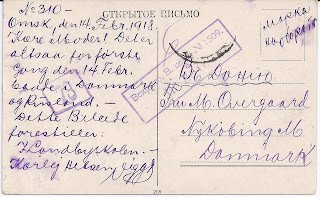 The card also refers to the Calendar change in Russia implemented on 1st February / 14th February 1918. The writer exclaims that it is for the first time the 14th February in both Denmark and Russia.